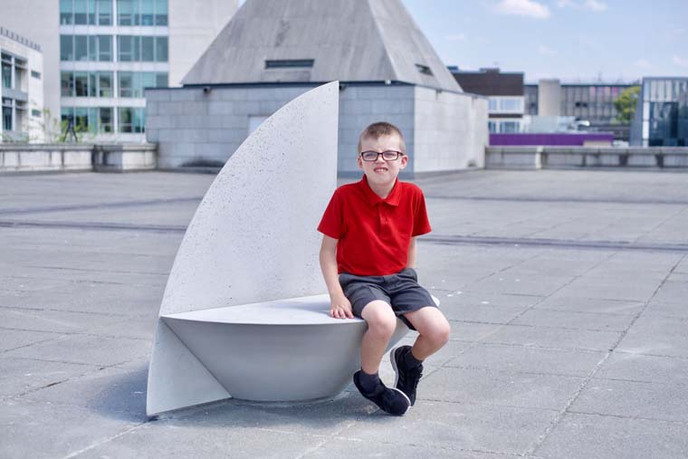 Ryan Gander in collaboration with Jamie Clark, Phoebe Edwards, Tianna Mehta, Maisie Williams, and Joshua Yates, view of Time Moves Quickly, Liverpool Biennial, 2018, Liverpool, United Kingdom. Photo: Pete Carr. 2018 marks both the 10th edition of the Liverpool Biennial and over 20 years of commissioning international artists to make work in the city region. 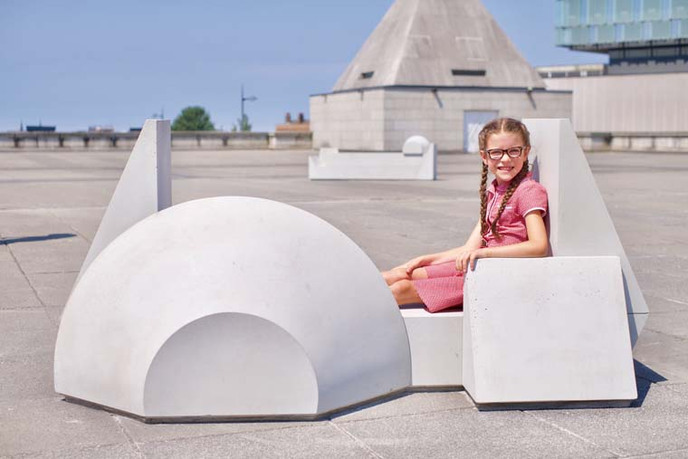 To celebrate this occasion, Liverpool Biennial conceived the Liverpool Folly project and invited a leading international artist to create an urban project that embraces creative invention and encourages the public to engage with the urban context playfully and critically. Innovation and prototypes often emerge from seemingly futile processes and these creative processes will be employed to make a thoughtful intervention into the everyday and will invite the public to rethink how they interact with public spaces of the city. Sally Tallant, director of the Liverpool Biennial, has lead the project since 2011 and in that time has deepened audience engagement and innovated models of artistic practice by delivering three ambitious biennials leading to over 2.5 million experiences with contemporary art; integrating education into all aspects of the organization; and commissioning Sir Peter Blake’s Everybody Razzle Dazzle, the decoration of a Mersey Ferry inspired by World War I dazzle camouflage seen by over six million people; as well as the UK's first glow-in-the-dark skate park, Evertro, by Korean artist Koo Jeong A. From 2001 to 2011, Tallant was head of programs at the Serpentine Gallery, London, where she was responsible for the development and delivery of an integrated program of exhibitions, architecture, education, and public programs. She is vice president of the International Biennial Association and a member of the London Regional Council for Arts Council England. Francesca Bertolotti-Bailey is head of production and international projects at the Liverpool Biennial and production lead for Liverpool Folly. From 2010 to 2014, she was responsible for curatorial projects at Artissima, Turin, and from 2007 to 2009, she led the curatorial department of the Hangar Bicocca, Milan. As a freelance producer, she has organized projects by Alfredo Jaar, Mark Lewis, Raimundas Malašauskas, and Rosalind Nashashibi, under the auspices of the Sharjah Biennial 10 in 2011 and the 55° Biennale di Venezia in 2013, amongst others. Polly Brannan is education curator at the Liverpool Biennial and lead on the Folly School and its education program. Brannan is an artist and educator who has produced projects at Frieze London, Lisbon Experimenta Festival and Nottingham Contemporary, amongst others. Brannan was Collaborations Curator at Studio Voltaire from 2006-9, and Education Curator at Serpentine Gallery from 2011-13. She is co-founder of network Avant Gardening, and was a member of the collective Public Works from 2005-11. Joasia Krysa is head of research at the Liverpool Biennial, in partnership with Liverpool John Moores University, where she is director of the Exhibition Research Centre, and lead for Liverpool Folly dissemination via the online journal Stages and its annual international conference. Formerly she served as artistic director of Kunsthal Aarhus, Denmark (2012–15) and was part of the curatorial team for documenta 13 (2009–12) under artistic director Carolyn Christov-Bakargiev. With Jussi Parikka, Krysa coedited Writing and Unwriting Media Art History (MIT Press, 2015), and also contributed chapters to Networks (MIT Press/Whitechapel, 2014) and The Routledge Companion to Art and Politics (2015). Liverpool Biennial is an internationally recognized platform for commissioning and presenting contemporary art, underpinned by education. It presents the largest festival of contemporary art in the UK and works to develop Liverpool as a center for art and artists. Its platform includes presenting the UK’s leading visual arts festival, led by a high-quality exhibition of international artists; broadening and deepening engagement with and understanding of contemporary art; and adding value to professional development and the arts infrastructure through partnership. These aims are expressed in our 10-year vision and define the quality of our program, our impact on individual artists, and our desire to create growth in the sector nationally and internationally. Our mission is to engage art, people, and place. 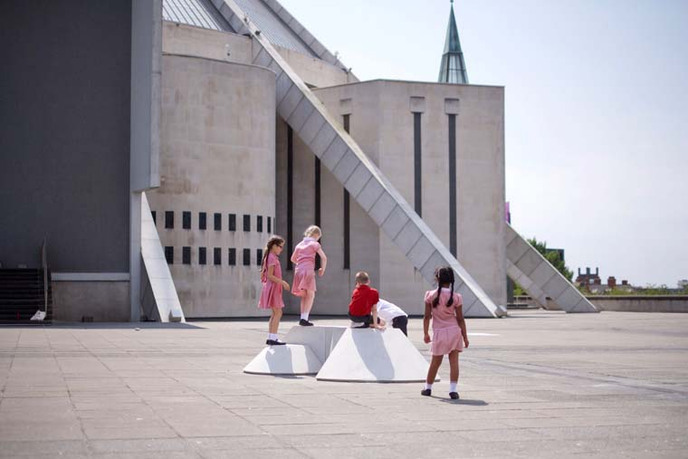 Liverpool Biennial was founded in 1998 and the first edition was in 1999.